I had a slight panic attack last night about the up and coming gift season. With birthdays for my two favourite baby men, Halloween and Christmas following quick sticks after, I’m wondering how and when there will be time for the list of crafty projects rapidly growing on my sewing table. I also have no idea of what on earth my son needs? With his dinosaur obsession well taken care of and a house full of toys, puzzles, books and games there isn’t alot more I can buy or fit into our lives. I was wafting around a few crafty blogs last night before bed and saw a cute idea over at Love and Lollipops that I whipped up in no time at all using my bag load of felt scraps, a piece of cardboard from a shoe box and a cute patch of fabric. The King is very keen on shapes at the moment so by the time his special day arrives I’m sure he will be fascinated by this playset. 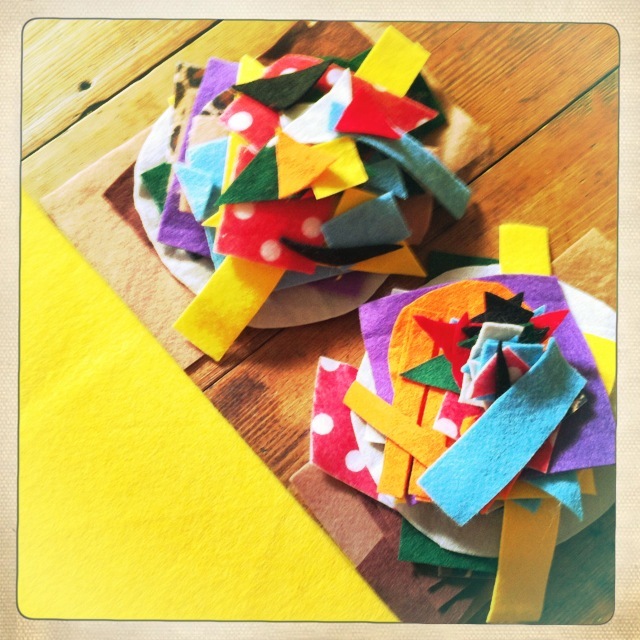 Raid your felt stash and cut squares, circles, triangles, diamonds, any shape you fancy really until you have a varied mound of colours and sizes. I traced around glasswear for my circles and used the cutting mat for perfect straight edges. 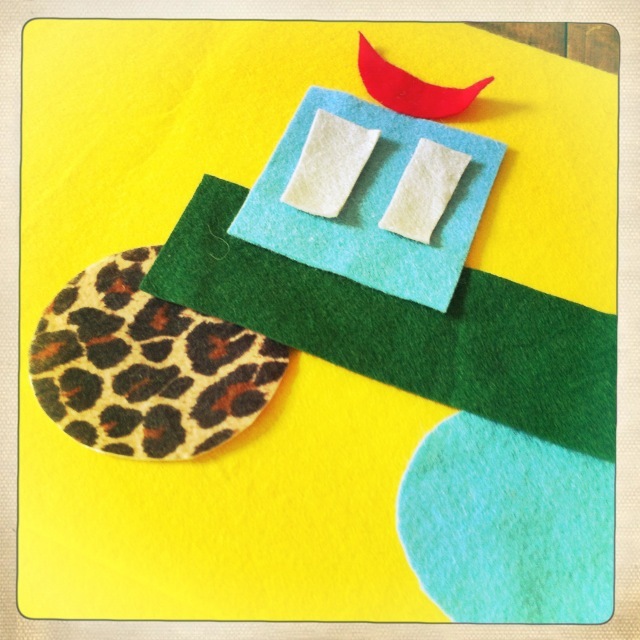 Slice up a piece of cardboard and hot glue gun a nice bright piece of felt cut slightly larger than the board. This will form the perfect backdrop to any imaginative creations! 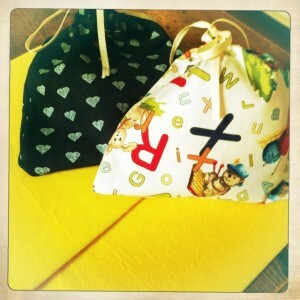 I whipped up a couple of drawstring bags from fabric offcuts to hold the shapes neatly, perfect for little travellers. I can’t wait to see what my boys can come up with!